Summer has arrived! Time to kick back, relax, and read by the lake... right? 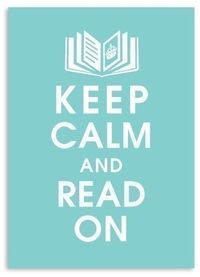 That's what I keep telling myself as I make the list and pile up a huge stack of books. 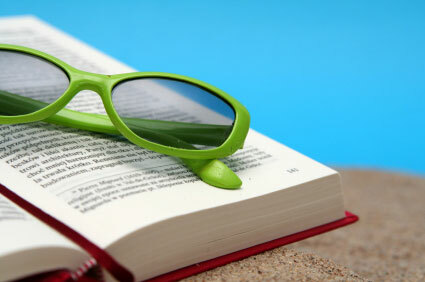 The reality, however, is that I actually read less during the summer months. Even audiobook time dwindles. There are family activities, gardening chores, and usually a few short trips (mostly college visits this summer). So this year, I'm taking a different approach. It will be a "no pressure summer"... no reading or blogging commitments. I'll still visit Paris in July and possibly start the Japanese Literature Challenge, but beyond that I'll read whatever catches my eye, whenever I have the time. As far as blogging goes, I'll aim for a couple of posts a week here and one at Lakeside Kitchen. This week I finished Cheri by Colette and loved it! 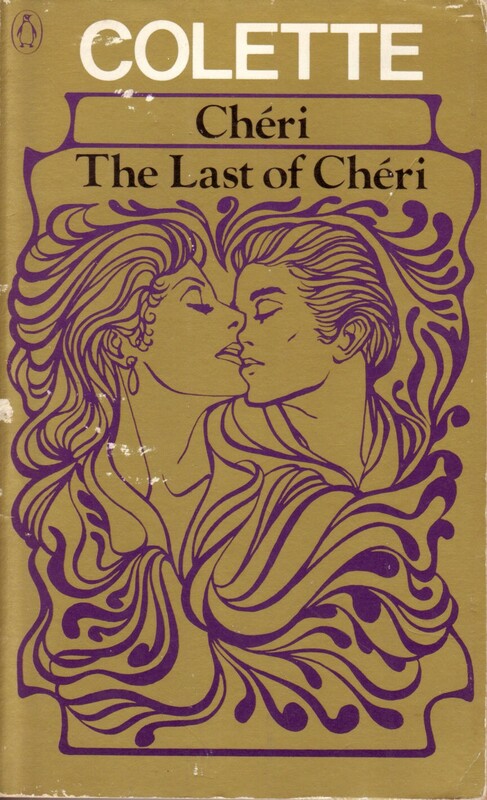 My edition also contains The Last of Cheri, so I will read that soon and review them together. 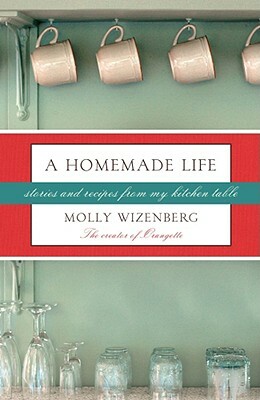 I started A Homemade Life by Molly Wizenberg and began recommending it to friends after reading just the introduction. Now, at page 70, I am confident this book will be a keeper! The recipes look wonderful, too. My week started in New York City. 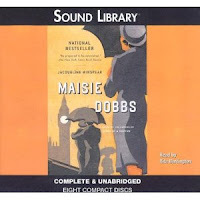 By the time we got home, I'd missed the first couple of days of Audiobook Week at Devourer of Books. There was a catch-up post on Wednesday, a query about earbuds on Thursday, and a list of audio favorites on Friday. The House at Sugar Beach by Helene Cooper is my current audiobook. Saturday's Weekend Cooking post was at Lakeside Kitchen. I love Wegman's, their Menu magazine, and discovered a couple new products for summer meal shortcuts. On the home front, yesterday marked Zelda's one month anniversary with the family. After a couple of sleepless nights and a trip to the doggy ER, her transition to life as a pampered pet has been a breeze. We love her sweet, gentle disposition and silly antics. She loves being around us, and insists on following me from room to room. Zelda really enjoys her walks around the village, too, and has made quite a few friends. My parents and siblings are visiting this afternoon. It will be a hot, muggy day, so we'll definitely get out on the lake before dinner. Later this evening, I'll get back to A Homemade Life. What are you reading today? Audiobook Week draws to a close today. Jen at Devourer of Books has assigned the task of sharing recommendations. I've broken my favorites down into categories, but it was still hard to choose just a few. The Help by Kathryn Stockett is my top recommendation. It's read by multiple narrators and is, quite simply, fabulous. Recently, I've turned to classics on audio. 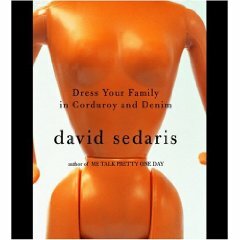 Dress Your Family in Corduroy and Denim by David Sedaris (read by the author) Nobody can do David Sedaris like David Sedaris. Don't spend your time reading his books... let him read them to you. They are like nothing you've ever heard! 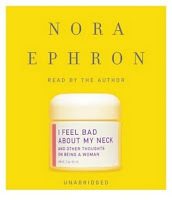 Again, nobody reads Nora Ephron as well as the author. This book was simply hilarious... especially if you are nearing "a certain age". It's Audiobook Week and Jen at Devourer of Books is offering up this topic today: When do you listen? Yesterday I mentioned that my audiobook habit began when I was spending inordinate amounts of time in my car. The car is still my favorite spot to read an audiobook, but I spend much less time driving around alone these days... especially in the summer. 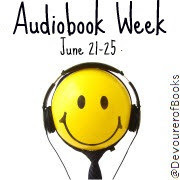 It's Audiobook Week and Jen at Devourer of Books is leading the celebration! A different topic is up for discussion each day, along with prizes and links to lots of reviews. After a long weekend away, I'm playing catch-up today. About ten years ago, we undertook a major home renovation project - remodel the kitchen and bathrooms, and add a family room. Our plan was to move in with my parents for the summer and allow the contractors to storm the place to complete the work by Labor Day. The sad reality: Due to major structural issues, we basically ended up building a new house. I found myself (along with a husband, 3 kids, and the dog) living two towns away with Mom and Dad for 11 months, overseeing the project, doing endless amounts of shopping for everything from doorknobs to roofing materials, and driving the kids to and from school, activities, sports practices and games. I literally spent the year in my car! My sister, who had recently listened to an audiobook on a long drive, suggested I give them a try. I began with a book on tape from the library - Welcome to the World, Baby Girl! by Fannie Flagg. It was read by the author, with her inimitable southern accent, and I was hooked! The library was my main source of audiobooks for another year, then I discovered aubible.com. I've been a member since 2003 and now have 150 audiobooks in my 'library'. Audible is the best! As a member, I purchase credits each year at a discounted price, have access to free programming, and can sample any book before buying. They also have periodic specials and other great features on their website. Although much less time is spent in the car these days, I still 'read' most of my audiobooks while driving. Listening has allowed me to fit many more books into my life! At first, it was work to pay attention, but my listening skills improved quickly. 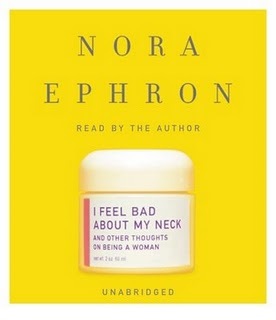 Now I listen to everything- fiction and nonfiction, from classics to humor. I love them! If you haven't given audiobooks a try, what are you waiting for? BUT HOW DO YOU WRITE A REVIEW? Reviewing audiobooks is tricky, there's no doubt about it. I generally start with a picture of the cover and the title, author, narrator, publisher, and length (in hours and minutes) next to it. A very brief plot outline follows, then my comments with a few lines specifically geared toward the quality of the audio production. 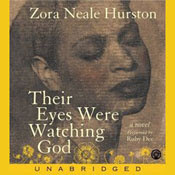 I love using favorite passages in a book review, but that's not always possible with an audiobook. Even spelling names of places and characters can present a challenge. Sometimes I get a hard copy from the library, but with popular new books that's not always possible. There is a small notebook and pen in the car to jot down my thoughts... I try really hard not to write while driving! My audio reviews are generally shorter than reviews of hard copies. Impressions? : Very good. It's read by the author and took some time to get used to her rather flat delivery, but I love hearing her 'Liberian' English. 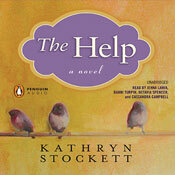 Favorite audiobook title: If I have to choose just one, it would be The Help by Kathryn Stockett. Favorite narrator: There are several, but Cassandra Campbell is the only one the comes to mind right now. How do you choose what to listen to versus read? In the past, I usually chose lighter, contemporary fiction. As my listening skills improved, I began to choose nonfiction, mystery, memoirs, and even classics. When memoirs are read by the author (Infidel by Ayaan Hirsi Ali, for example) another dimension is added. Humor is great in the audio format. If you have any desire to read David Sedaris, take my advice and try the audio (he narrates his owns books). Sometimes a classic that I haven't been able to concentrate on in the past really captures my attention on audio. I loved Great Expectations read by Frank Muller. Now, I listen to whatever happens to catch my attention. I have a great book club! Although members have come and gone, a core group has been together for about ten years. We meet monthly during the school year, usually in the morning, and have an annual pot luck dinner each summer. We read mostly fiction, but usually choose a classic and a nonfiction title each year, too. This year we tried something different and subscribed to the Rosamond Gifford Lecture Series. The six-lecture author series provided built-in reading selections and breathed new life into the group. We heard Khaled Hosseini, Geraldine Brooks, Pete Hamill, Richard Russo, Sara Gruen, and Jeffrey Toobin. Pete Hamill was my favorite speaker, and also a new discovery. 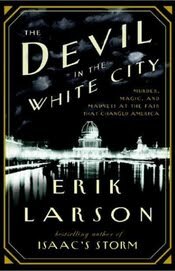 Two of his books, North River and Downtown: My Manhattan ended up on my favorites list last year. The last lecture was in May, so we were on our own again for June's book. 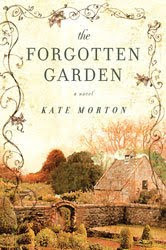 We settled on The Forgotten Garden by Kate Morton. One member loved it, and I had recently received a phone call from a former member telling me I had to read it. This friend has very similar reading tastes, even though Corelli's Mandolin has become a standing joke between us - it's one of my favorites and she hated it. I really enjoyed The Forgotten Garden. It was a perfect summer read - pure plot, and well-written. It takes place in Australia and England, involves writers and illustrators of fairy tales, family secrets, mystery, and wealth, and skips around in time from the present, to the 1970's, to the early 1900's. Everybody else loved it, too.... but there was really nothing to discuss! We grasped at a few topics, but didn't want to spoil it for the member who hadn't finished. That lasted all of ten minutes before we turned to other books we've read and summer plans. This served as a perfect reminder that good books don't always lead to good discussions! What's up next? We chose A Homemade Life by Molly Wizenberg for our summer read, and are encouraging members to try recipes from the book for the annual pot luck dinner (I'm hosting). We'll hope for a better discussion, but this is usually more of a social meeting anyway. I'm really looking forward to this one. Have you read it? I'm not ignoring you this week... honest. For whatever reason, Wordpress has decided I'm a spammer. Any comments I leave are vanishing into thin air or ending up in your spam folders (Word Lily figured that out!). Restarting the computer helped a couple of times, but today nothing seems to be working. Violet suggested I remove all cookies and empty the cache, but still no luck. My computer skills are limited, but I'd appreciate any other suggestions. Wuthering Heights Wednesday: It's a Wrap! This is the final installment of our Wuthering Heights Wednesday read-along hosted by Jill at Fizzy Thoughts. Surprisingly, I was not the only one who hadn't read the book prior to this little adventure. Several other WH virgins read along with the seasoned veterans who 'held our hands' as we made our way through. So, what did I think? First and foremost, this was not at all what I was expecting. EXPECTATION: Wuthering Heights is one of the world's great love stories. EXPECTATION: A tall, dark, and handsome hero captures the young girl's heart. REALITY: An boy of questionable origin, taken in and raised by a family, grows to be a man of questionable mental health bent on seeking revenge against the family's son who mistreated him, while acting on an obsession with the daughter that lasts beyond her life. EXPECTATION: An atmospheric tale, where the setting is an integral part of the story. REALITY: I was one for three! Although I have long suspected this was true, I learned that I do not need to like or identify with any character in order to enjoy a novel. Until now, I have never been able to point to a specific title where I disliked everyone. Wuthering Heights has changed that. Although there may have been passing sympathy for Hareton, this was a pretty despicable lot. It's hard to say whether I disliked Heathcliff or Linton more. And, oh that Nelly! So many times she could have stepped in and changed the course of events, but the one time she feels even a slight twinge of guilt, it is quickly discounted. Who knows about Joseph... I didn't understand much of what he had to say, but what I did catch wasn't very favorable. At least Cathy I was interesting, poor Cathy II didn't even have that going for her! I love classics and Wuthering Heights did not disappoint. It will not go down as one of my favorite books of 2010, but I am very glad to have finally read it. The read-along, however, will definitely be among my favorite blogging 'activities' of the year. The group made what was ultimately a pretty creepy book loaded with loathsome characters into an enjoyable, memorable read. And best of all, I have a some new friends whose blogs I will continue to visit regularly. 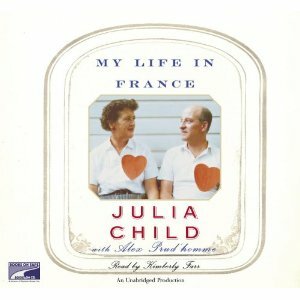 This was going to be part of my Paris in July reading, but the travel bug hit early. How about if I save the review for next month? It's been quiet at Lakeside Musing lately. A new dog in the house requires a huge time commitment, and if that dogs gets sick, it becomes even greater. Zelda arrived just over a week before our trip to the 'doggy ER' last Sunday. Four hours, $400, and a few tests later, we were back home. Zelda, freshly pumped up with fluids, received a diagnosis of hemorrhagic gastroenteritis, a week's worth of antibiotics and dietary supplements, and I began boiling chicken and rice for her next meal! Thankfully, Zelda bounced back just as quickly as she became ill. A couple of days later, we began reintroducing dog food along with the chicken and rice. The last chicken will be fed tonight.... we'll see how she feels about a breakfast of just dog food tomorrow! Aside from the digestive issues, she has adjusted seamlessly into the household. This is the final week of school and Regent's Exams for Twin B. Summer at the lake officially begins Friday afternoon. We can't wait! The House at Sugar Beach by Helene Cooper is my current audio book. Cooper was born into a privileged Liberian family and enjoyed what seemed to be an idyllic childhood before civil war forced her family's exile to America. The book is read by the author. It took a couple disks to get used to her flat delivery, but I really enjoy when she speaks in the Liberian dialect. This week also mark the conclusion of our Wuthering Heights Wednesday read-along hosted by Jill at Fizzy Thoughts. I've really enjoyed this experience, probably even more than the book, and will post my final thoughts on Wednesday. As for my next book... we'll see what strikes my fancy later this evening. What are you reading today? It's week 10 of the Wuthering Heights Wednesday read-along hosted by Jill at Fizzy Thoughts and we're coming in the home stretch! But I have a confession to make: I finished the book. I couldn't stop at the end of chapter 30, so just kept going. Yes, there was a surprise or two. If you're sticking to the schedule though, I'm not going to spoil it for you. Cathy and Linton are married. Edgar, realizing Cathy is being mistreated, tries unsuccessfully to change his will. He dies before the lawyer (under Heathcliff's control) arrives. Linton dies - at last! Heathcliff gains control of Thrushcross Grange and insists Cathy return to Wuthering Heights. Heathcliff digs up Cathy I's grave. It's time to peruse the stacks and gather your Japanese Literature. 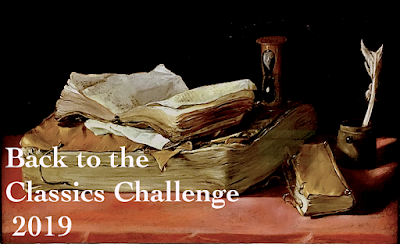 The 4th annual Japanese Literature Challenge is underway! 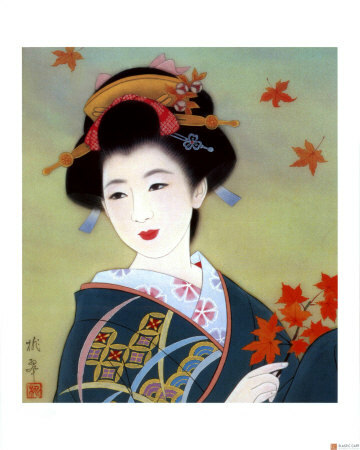 According to our gracious hostess, Bellezza, the sole requirement is to read one work of Japanese Literature between now and January 30, 2011. She has created this lovely button, put together an extensive list of reading possibilities, and set up a review site. Now it's time to get started. Last year I discovered Banana Yoshimoto through her novel Kitchen. This year, I'm looking forward to Goodbye Tsugumi and Hardboiled & Hard Luck. Also in my stack is After Dark by Haruki Murakami. Murakami has many devotees among challenge participants, and the title has been recommended as a good starting point. I'm anxious to see what this author is all about. Junichiro Tanizaki's 1948 classic, The Makioka Sisters, is on top of the pile. It had been on my wish list for a few years, and I finally picked up a copy last winter in anticipation of the challenge. So, these are the four title I have on hand, but I'm still considering several others. Have you made your list? I don't read poetry. And to tell you the truth, it intimidates me. I know that's an odd opening for a book review, but lately I've been thinking it's time to give poetry another chance. It's time to forget about those horrible middle school/high school English classes and take a fresh look.... maybe even learn to appreciate it. 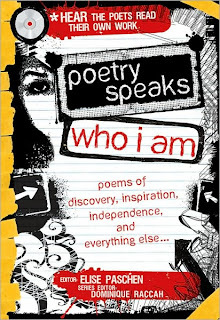 The perfect opportunity presented itself when I won poetry speaks who i am, a collection of 100 poems aimed at teens, edited by Elise Paschen from Bellezza at Dolce Bellezza. It includes everything from classics by Robert Frost, Walt Whitman, Maya Angelou, and John Keats, to fresh young contemporary voices that speak to experiences from baseball to bra shopping, from mowing the lawn to eating a bowl of oatmeal. Best of all, it includes a 47 track audio CD of poets reading their own work. 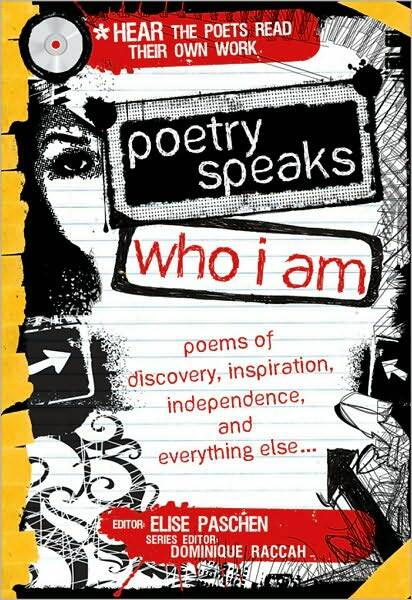 "The power of spoken poetry is at the heart of Poetry Speaks. Poetry is a vocal art, an art meant to be read aloud. Listening to a poem read aloud can be a transforming experience. Poetry Speaks not only introduces the finest work from some of the greatest poets who ever lived, it reintroduces the oral tradition of poetry, of poetry performed." Why hadn't I thought to experience poetry in this way? What a joy it was to listen to authors read their work. 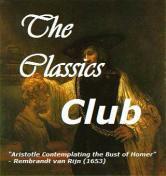 Their tone and inflection added much, and gave me the courage to read the classics in the collection for myself. I don't have to like, or understand, every single poem. Every poem will not speak to me. Just because I do not like every poem, it does not mean that I don't like poetry. This sounds so elementary. Why have I not looked at it this way before? Of course it would be ridiculous to say I don't like novels because of a few I didn't like or understand, yet that is exactly what I've been doing with poetry for decades! So now, my question... Where do I go from here? Is there a particular poet or anthology you would recommend? Or perhaps one of those "how to" read/understand poetry books? Any suggestions would be appreciated. The time frame is finally put into perspective as Mrs. Dean tells Lockwood the preceding events occurred just one winter ago! Mrs. Dean wonders if Lockwood might love Cathy. Edgar agrees to let Cathy and Nellie meet Linton - but not at Wuthering Heights. At the meeting, Linton - disinterested, inattentive, and looking like hell (although claiming to feel better) - becomes quite agitated when Cathy and Nellie threaten to leave. He's obviously afraid of Heathcliff's anger if perceived as "silent and stupid". While Edgar's condition continues to deteriorate, a second meeting occurs the following week. Linton is a little more animated, but that seems motivated by fear of his father. Heathcliff appears and manages to get Cathy and Nellie to Wuthering Heights, takes them both prisoner, and knocks Cathy around when she tries to escape. Heathcliff says Cathy and Linton must be married before she is released... and it turns out Linton is in on this little scheme! Cathy is taken away the next morning, but Nellie is kept for 5 nights and 4 days with Hareton as jailer. The action has certainly picked up this week - physical abuse, emotional torment, imprisonment - but these people are all horrible, and it's about time to wrap this one up! We have at least a couple of impending deaths. I'm starting to wonder who will be left in the end. Maybe it will be survival of the fittest- the sick die off, the 'winner' will be rid of all enemies... and there's nothing left to write about!